Keep Sydney Open group aims to become a political party to revive city's nightlife | Daily Review: Film, stage and music reviews, interviews and more. 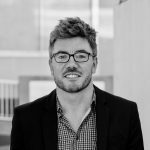 Joseph O’Donoghue, a volunteer with ‘Keep Sydney Open‘ explains the journey of the community activist group to become a political party and contest Upper House seats at the next New South Wales state election in March 2019. He argues that “Sydneysiders are tired of having their personality muffled and they want their vibrant nightlife back”. The planned transformation of ‘Keep Sydney Open’ from community activist group to political party comes after three years of lobbying for the claw back of late night lockout laws. O’Donoghue writes below: “The only way the government will sit up and take notice is if it’s scared. Scared to lose votes”. London simmers like a melting pot. It’s almost constant ‘flotsam and jetsam’ generates an impulsive nightlife that can often be heady. It is one of the most exciting places in the world to be young. I moved there in 2004 – years before anyone even created the term “lockout” – spending nearly a decade there. Sometimes, Londoners would ask me what the nightlife was like back in Sydney. I always gave it to them straight because I was proud of it. No other city could party like Sydney could. What we had back home was unique. There was just something about an endless night after a long sunny day at the beach. Walking up William, Oxford or Crown felt electric as you sensed community around you and felt alive. Washing off the buzz of a fun night out with an ocean dip at sunrise – only in Sydney, I would tell them. Where winters are difficult in London, travelling is easy and so I did. You learn that every city has its own night time culture. Being a writer – it’s your job to observe, to compare and look for patterns. I can’t remember many places that could compete with Sydney in the night time space. We carried the mantle of an international Olympic city because we deserved it and that is how I always thought about my home. Eventually, though, I moved back. Of course, I’d heard about the lockouts but I wasn’t prepared for them. Stepping back into this new night time regime felt like jumping from a warm spa bath into a cold pool in winter. All of that unique local energy that I remembered about it was gone. The night time space felt locked up like some disobedient dog. It all seemed so hushed up and pinned down. Compared to old man Europe, postcolonial Sydney is only just beginning to grow up and work out who it is. It is a city in its youth. In order to understand yourself – as a person or even as a culture – you need freedom to explore, to express yourself, to blow off steam, to make mistakes, to discuss what you’re feeling right now. You need a safe space to talk, dance and to create. You need a wall to throw mud at so that some of it can stick. This, for me, is the devastating mistake of the lockouts. They are poorly-considered, rushed-through, knee-jerk constraints applied to a very layered fabric. A fabric with a myriad of complexities and stakeholders. They have been far from the silver-bullet solution sold to the media. On the contrary, these young-person-patronising laws have stamped all over a space that is critical for an emerging culture to blossom and bloom. I’ve read article after article and comment after comment, written by passionate Sydneysiders who are ashamed by what has happened here. However, despite all of the anger and noise – the government still refuses to consult the community again on this obviously controversial issue. It has barely managed some paltry concessions in a vague attempt to appease. There seems to be zero appetite to flesh out a longer-term holistic approach that introduces more balance. Meanwhile, the casino is still exempt and the booze brands still cover our local sport stars in their logos. Indeed, after writing a couple of anti-lockout articles myself – eventually I woke up. Our ardent words have fallen upon the deaf ears of the elected. We will never revive our nightlife with the tap-tap-tap of a keyboard or by growling about it at the pub over a beer. The only way the government will sit up and take notice is if it’s scared. Scared to lose votes. If young people are suddenly provided with an real alternative to vote for – a party that champions the things they actually care about – well then, that could trigger an entirely different ballgame. 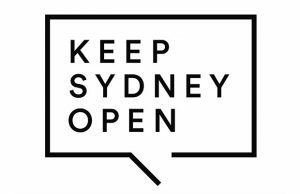 I’ll be honest, I wasn’t sure about Keep Sydney Open at the start. Initially, I found their messaging and the way they spoke just a touch too polite. I thought what this fight needed was simply just that – good old-fashioned fight talk. However, after deciding to put my money where my mouth was and offering to help them out where I could – I better understood the approach. I was educated rather than seduced. Here was a mature mindset towards an issue previously railroaded by puerile, government one-liners. I was drawn to their broad range of ideas and suggestions. The audience they were talking to was also far more diverse than I had considered, too: Musicians; DJs; hospitality-industry workers. small bar owners; large bar conglomerates and all their staff; artists; night-time economy businesses; taxi drivers; uber drivers; restaurant owners; start-ups attracting young talent from overseas; hotels attracting tourists from overseas. Whatsmore, alongside the manners and sensible restraint – they were not scared to stand up and fight. There have been petitions in parliament, protest rallies, seminar speeches, television debates, radio interviews, social media call outs, meetings with government and a bustling online community of followers. They have fueled the debate, maintained its tempo and reminded young Sydneysiders just what they risk losing. Over the past few weeks we’ve been out on the streets, listening and asking for support. The response has been overwhelming. People are desperate to talk about this issue and share what they think. After three years living with a locked-up night, I was genuinely worried that Sydney may have been slipping into a sort of tolerance for it. Nothing could be further from the truth. “The suffocation of the Cross – bars and nightclubs going broke or being intimidated – noise complaints shutting out live music – eerily quiet inner city streets and squares – rules that apply to some and not to others (the casino gets a blasting) – an embarrassing lack of choice and diversity – band-aid solution – pushing the problem elsewhere – we want a violence-free safe city – we don’t want to be treated like children.” Young people have much to say if you listen. Sydney has lost its international status and Melbourne is where it’s all at, apparently. Many are thinking of moving there purely for its vibrancy at night. There is something so sad about all of it. The arrogance and naivety of this government could easily backfire. There is a very real and present anger amongst young people here and a consensus that they are being ignored. Sydneysiders are tired of having their personality muffled and they want their vibrant nightlife back. Given a political alternative, it seems that young people will pounce on it. The possibilities raised by this readiness for change has let a fresh scent of hope wash over Sydney. That is exciting in itself – because given half a chance, that sweet scent could quickly sweep up into a gust. 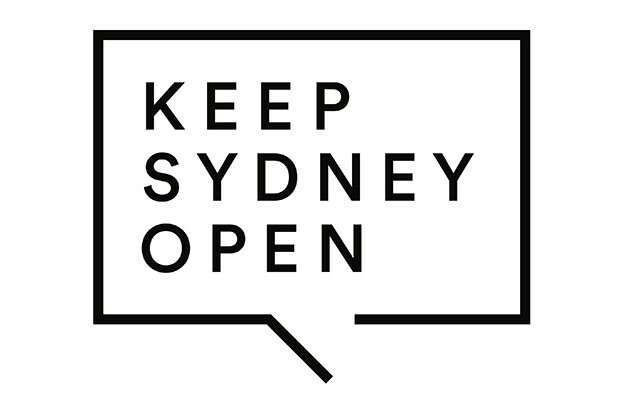 Keep Sydney Open needs 1000 members by the end of November in order to register as a political party. Once registered they will contest Upper House seats at the next NSW State election in March 2019. I wonder whether you guys could talk to The Arts Party? Seems like you’ve got heaps in common and might be able to make a bigger difference together?